As part of the program to modernise and streamline services, DVA has joined all its online services to myGov to expand self-service to enable veterans and their families to access DVA services online. Supported by the myGov platform, MyService is being improved to become DVA's online channel providing a simpler and faster way for veterans and their families to interact with DVA online. For the first time, families and students receiving support through the Education Schemes can now also submit claims and lodge supporting documents online. From 30 July 2018, DVA veterans and their families will need to register with myGov and link to DVA to access DVA services online. They will only need to do this once and can use the same login and password to access myGov and DVA online services. Over the next 12–18 months, services available through MyAccount will transition to MyService and DVA clients will notice some changes with how MyAccount operates as DVA make this change. If you require assistance to register for myGov, contact myGov Support on 13 23 07. If you have a myGov account, log onto myGov and link to DVA (If you're not registered for DVA online services, you will be asked to register for MyService). You can also contact DVA on the DVA General Enquiry Line on 1800 555 254 with any further queries or concerns on how to access these services. A new Practitioner Support Service (PSS) that will provide expert advice and consultation to doctors and agencies around Australia who are supporting and treating veterans with mental health issues, was launched today by the Minister for Veterans’ Affairs, Darren Chester. Mr Chester said that these professionals when working with veterans who have complex issues will now be able to gain access to a panel of highly experienced veteran and military mental health specialists. 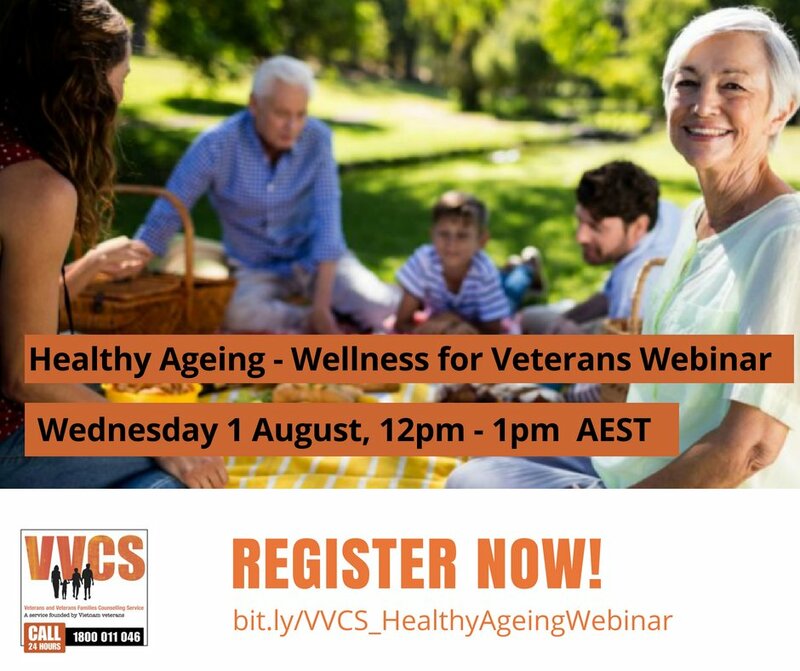 “The service can be accessed by calling 1800 VET777 or through the Phoenix Australia website which also provides links to best practice and professional development. “A general practitioner, for example working with an individual veteran, in a rural or remote setting will be able to get expert specialist advice on how to best treat and support an individual with complex PTSD, pain or other mental health issues. In 2016, the Australian Government provided $6 million to Phoenix Australia to establish the Centenary of Anzac Centre (the Centre) to target early intervention for mental health treatment for veterans. The Centre comprises a Treatment Research Centre and a PSS. The Centre will investigate and test new treatments for PTSD and other mental health conditions and provide expert advice and support to mental health practitioners. “The PSS is the second arm of the Centre and aims to provide a multidisciplinary focus and guidance on the treatment of complex mental health problems in veterans and military personnel. “The PSS will engage with a network of clinical experts and other leaders in the field to ensure specific advice is matched to practitioners’ needs and will use a variety of communication methods to ensure the service is available to all practitioners. On Wednesday 1 August from 12pm – 1pm AEST, VVCS are hosting a one hour webinar on Healthy Ageing – Wellness for Veterans. Grants are available to assist organisations help younger veterans to transition into civilian life. Applications are now open for DVA’s Supporting Younger Veterans Grants program. The process for applying to undertaking ATDP training or RPL is a multi-part process requiring input from a number of parties. Will ATDP Training affect my Incapacity Payments? The policy under the Safety, Rehabilitation and Compensation (Defence-related Claims) Act (DRCA) and the Military Rehabilitation and Compensation Act (MRCA) in relation to volunteer work has not changed. DVA recognises that engaging in voluntary work can have significant medical and social rehabilitation advantages for a person. A training course in order to undertake volunteer work, such as those offered by the Advocacy Training and Development Program (ATDP), is considered volunteer work. If a person does not have capacity for employment, and is not participating in a return to work rehabilitation plan, volunteer work WILL NOT affect their eligibility for payment nor impact the rate of payment. Undertaking voluntary work (including the ATDP) alone does not indicate a person could return to employment. A person’s payments may change only if their capacity for employment has changed (as indicated by the person’s treating doctor) and subsequently a rehabilitation plan assists the person to return to paid employment. Therefore participating in volunteer work alone, including a volunteer training course, will not affect a person’s incapacity or SRDP payments. The above SOPs take effect from 23 July 2018. The above investigation notices appear in the Government Notices Gazette of 3 July 2018.